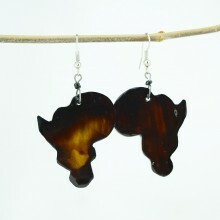 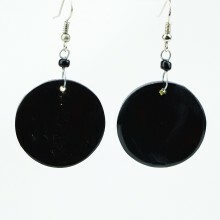 These unique sphere-shaped cow Horn Earrings are from East Africa, Kenya. 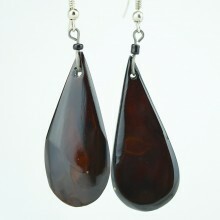 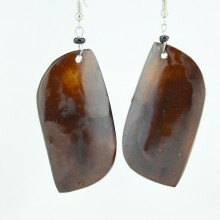 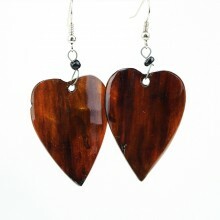 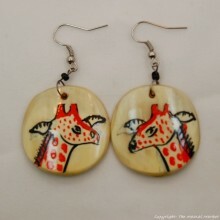 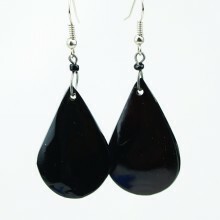 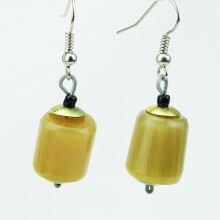 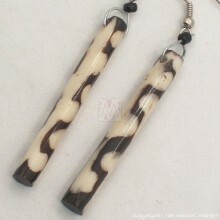 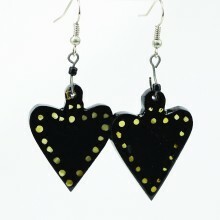 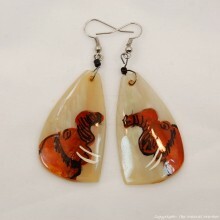 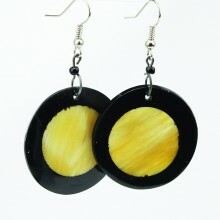 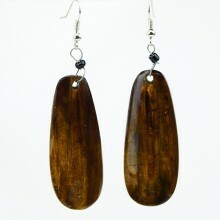 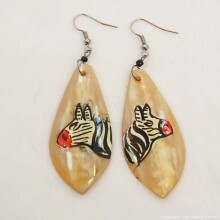 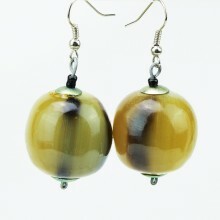 Smaller pieces were cut from a larger piece of cow horn, hand-carved into the desired bead shape, and then smoothed. These bead earrings are one-of-a-kind--because they are handmade--and may vary slightly from the Kenya Cow horn earrings pictured. 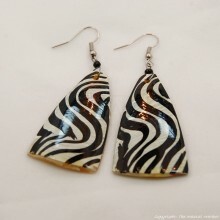 Size: Large cow horn bead approximately 1", whole earring approximately 2"; Small cow horn bead approximately 3/4", whole earring approximately 1 3/4"